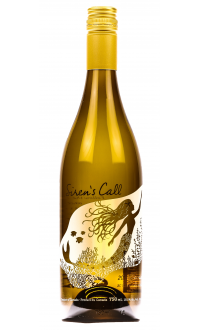 The newest addition to the Siren’s Call lineup is a classic white blend featuring grassy herbal notes and a pleasant floral aroma from 67% Sauvignon Blanc, balanced with tropical notes of pineapple and guava from 33% Semillon. 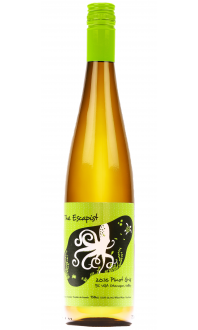 It’s a crisp and refreshing white that pairs up nicely with seafood, particularly oysters, ahi tuna and sushi, but its zesty, delicious profile makes it a fabulous sipper by itself. Nose: Medium aromatic intensity. Fresh pear, nectarine, peach, green apple, honeycomb, and white flowers. Palate: Light+ body, medium acid. Tropical fruit emerges with guava and passion fruit on the palate, lemon, stone fruits and a touch of honey also lend character. Food Pairing: Lemon and rosemary roasted chicken, schnitzel with noodles in a creamy sauce, grilled asparagus, buttered peas, pasta with olive oil and lemon, and smoked eel. 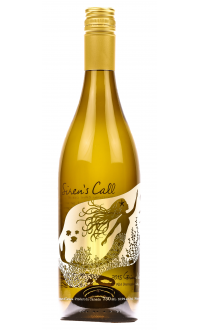 An avid wine enthusiast, Mark Simpson not only produces his own wines under the labels Siren’s Call, The Escapist, and Hawk’s Vineyard, but he shares his crush pad and expertise with other small-lot wine producers. Simpson’s approach helps to support BC’s garagiste movement of creating wines of high quality at limited productions. 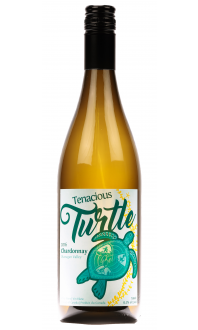 Predominantly Sauvignon Blanc, this wine has a sturdy backbone of acidity with characteristic citrus notes, however the Semillon lends floral notes and hints of honey that round out the edges of the Sauvignon Blanc and give the wine a lighter, more delicate expression. Celebrate the golden days of autumn with this easy sipper!